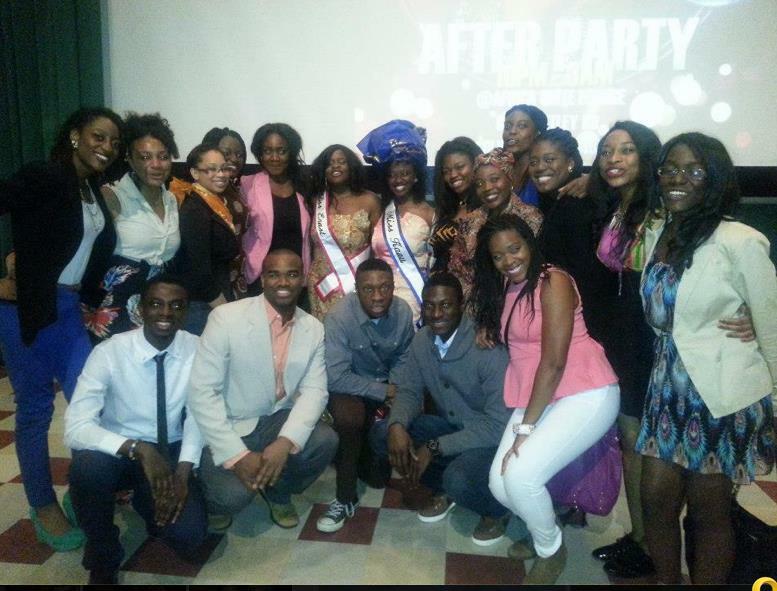 This cultural pageant features beautiful, intelligent, and talented African women from universities all across Ohio who will compete for the title of Miss Africollege 2013. Contestants display their traditional African clothing, evening wear, showcase their unique talents, and portray their intelligence by answering questions related to current events in Africa. Top 5: 2 UC Contestants! UCASA's 6th Annual Culture Show was themed, "Take Me to Africa." This event even was held in the Campus Recreational Center from 5:30pm to 8pm. The culture show is a chance for UCASA to share our history, culture, food and artistic expression. Check out the men of UCASA dancing! This upbeat dance was choreographed and performed by our very own men of UCASA: Elijah Ladipo, Jeffery Amoaka and Ogechukwu Okoh. UCASA is planned a spring break service trip to Cape Coast, Ghana. Five UCASA member went through partnership with ProWorld, and an international service organization. Students volunteered in pre-kindergarten classes and assisting children with their homework and daily lessons. The group will also provide the schoolchildren with school supplies. UCASA was featured on the UC site and The News Record.